Fine dining establishment for almost three decades. Since 1984, Darrel and Oliver's Cafe Maxx has been delighting patrons with their innovative, award-winning cuisine. 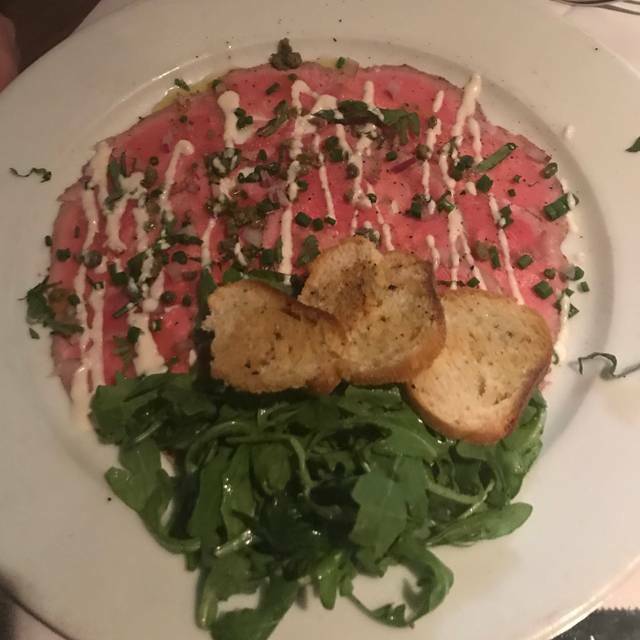 This landmark restaurant destination is the premier dining choice among South Florida's power brokers and gourmands, who desire impeccable food served in a friendly, relaxed atmosphere. Stylish yet unpretentious, Cafe Maxx offers a hip outside patio, a cozy bar and an energetic dining room. We all had fresh fish. Terrific all around the table! Service fantastic and couldn’t have been better. We will be back. 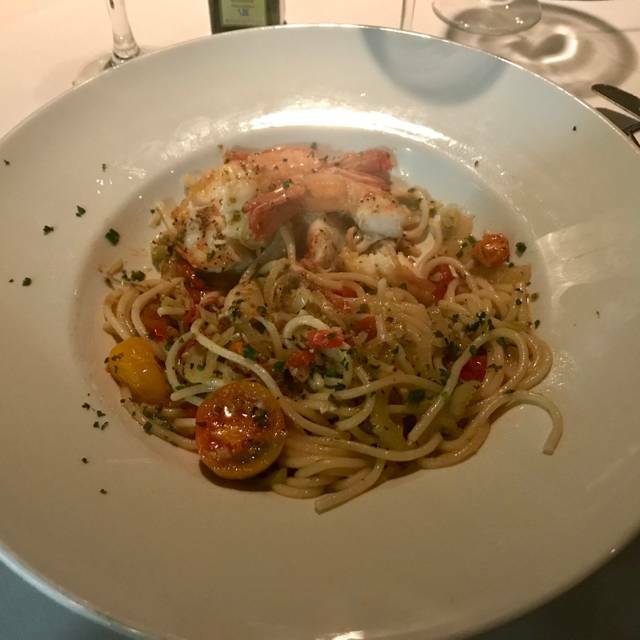 Cafe Maxx has always been one of the finest restaurants in South Florida. Actually kind of underrated. Menu is inventive, excellent presentation and priced pretty well for a high end shop. Wine list is diverse and priced about right. A wonderful find and worth returning to always! Great quality food always. Wait staff was very attentive to food allergies. The meal was very tasty, especially well-prepared fish. Accommodating with seating although tables and chairs are lower height than normal, which is uncomfortable for tall persons due to lack of leg room. We happened to go twice last week with two different couples. 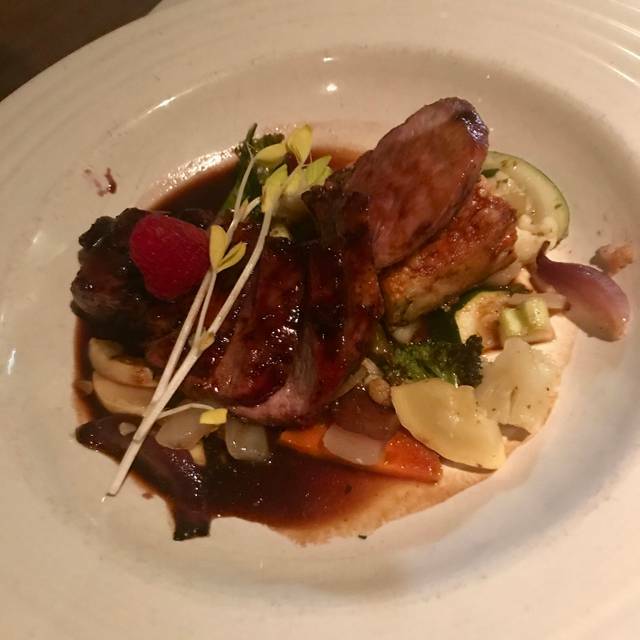 I had the elk chops one night which are new to the menu and they were excellent. Last night I had my go to which is the duck ravioli. Everyone else said they liked their dishes as well. Celebrating our anniversary! Great food, service, & ambiance! We'll definitely be back. Already told several friends to go. The sushi pizza with fried wonton is a must! I cannot say enough good things about this restaurant!! Life is short and this restaurant is worth your time and money again and again. The food never disappoints. The tuna pizza is outstanding, the duck is awesome. There isn’t anything on the menu that is not too notch. If you haven’t tried a cooking class yet it’s an awesome value. There are very few restaurants that can compete with Cafe Maxx. This place is a foodie’s dream come true. Great restaurant , great food, great service, great place for a group or a date. Best dining experience in Broward County. We frequent Café Mazz often. 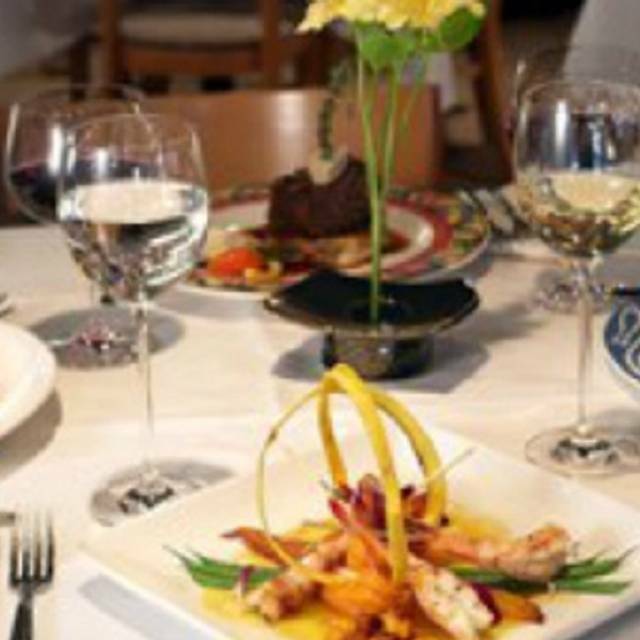 Certainly among the very best restaurants in the Pompano area with creative cuisine. Prices are quite expensive for the area but a fine choice for a special occasion. Food amazing!!! Service a bit slow at first - 30 minutes before we got drinks and ordered on a Sunday brunch, but the food made up for it! Love the wine tastings and food pairings that they offer. I applaud Cafe Maxx for serving new dishes and having a new menu each day or week. However, we went back to Cafe Maxx to have a certain entree that was served last year when we went to the restaurant. The entree we wanted was not on the menu this year. We were disappointed. I don't know if Cafe Maxx publishes its menu on line, if not, I would suggest it so we could view if the sought after entree will be served on that day. We did find an alternative entree, however, there was limited spicy entrees and that's what we were looking for. A very good meal but the prices are way over the top. $ 300 for dinner for two with 1 bottle of $75.00 wine is excessive for South Florida. Even Manhattan and London are more reasonable. 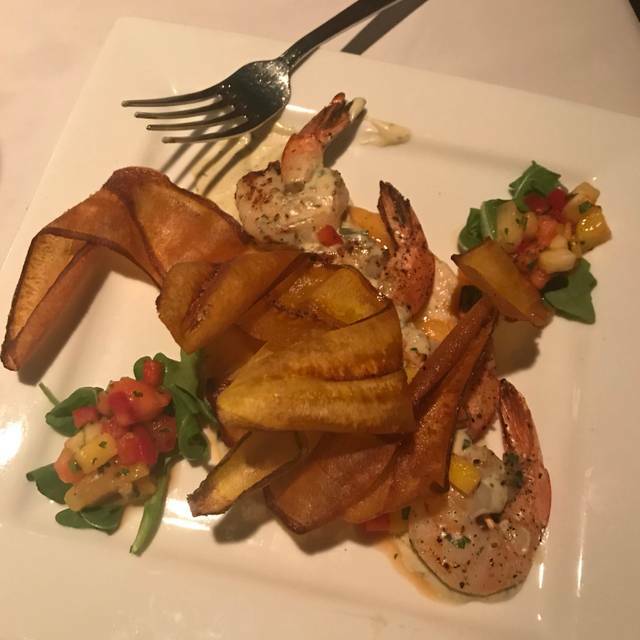 Always the perfect combination of wonderful food, excellent service, and comfortable dining experience! A favorite spot for special occasions and romantic dinners. 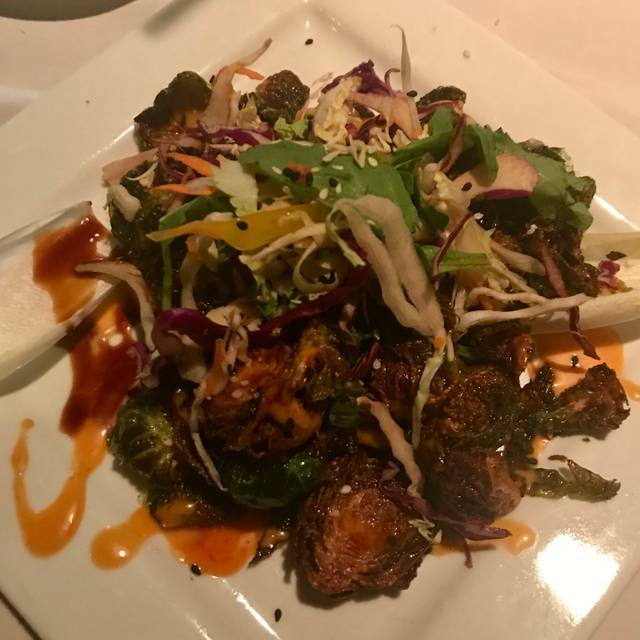 We have been dining at Cafe Maxx for 20+ years. 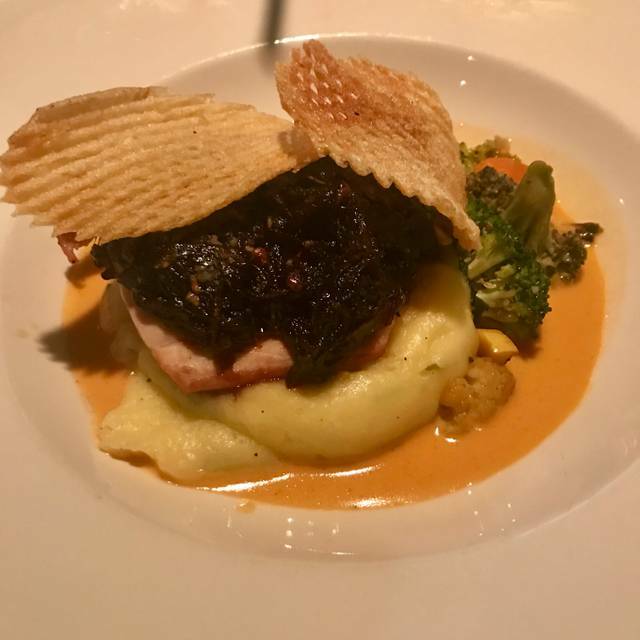 It is consistently delicious, the service is always outstanding, and it is my favorite restaurant. The Meal, the wine, the service, the atmosphere, is “12” on a scale of 1 to 10. We Will Be Back! Thank you! Love this restaurant as have been here before. 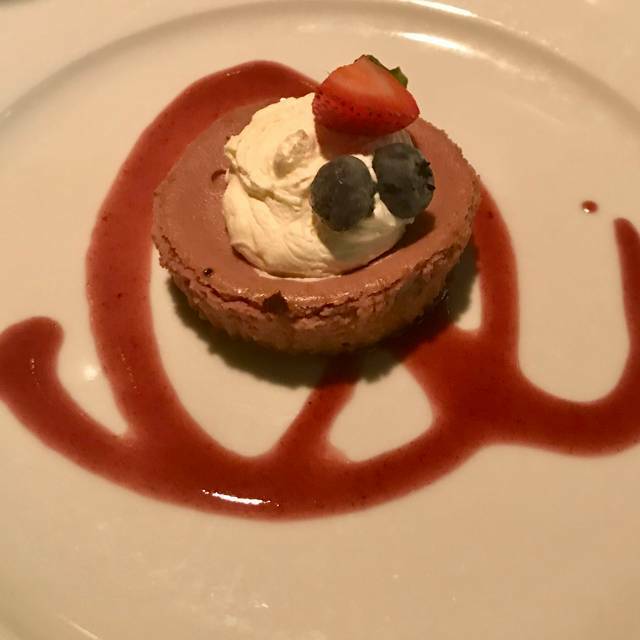 It was my husband’s 70th birthday and when I made reservation on Open Table, I noted that we were celebrating my husband’s birthday, yet restaurant made no mention of this to us. I was extremely upset as we were celebrating with friends, yet restaurant did nothing special. I have made reservations through Open Table in the past where they at least put a candle on the celebrant’s dessert...yet nothing was done. We had reservations again on March 4th with other friends, but i was so angry with restaurant, I cancelled the reservation. Also, on a previous visit I had an incredible roasted carrot salad but not on tonight’s menu. I asked waitress about this and she said she never heard of that appetizer. She made me feel really stupid! The mark of a fine restaurant is more than the quality of the food. 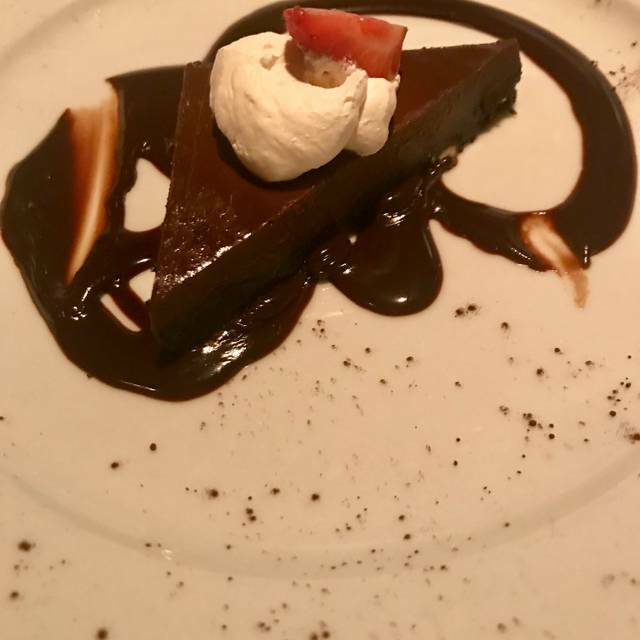 Yes, the food is wonderful and our table of 6 each enjoyed their meals, but very disappointed with server and how stupid she made me feel, plus no birthday mention to my husband! Always great food and service. They never disappoint! Dinner was fabulous. Great flavor profiles. Only small complaint is I had made reservations about two weeks in advance and only table they had was the one in bar area. But it was fine; would have preferred to be inside actual restaurant area. Not as elegant as it was 25+ years ago, when it was a fine dining experience. Food and service are good; ambiance is quite a bit noisier than before, but probably typical for Saturday evening. Food and service is excellent. The chef knows how to season dishes to compliment the dish. My favorites are the duck ravioli with the apple tart for dessert. This place is always great. Took another couple that had not been there in sometime and they were kind of mad (in a nice way) they waited so long to come back. This restaurant has been around for a long time. Which says a lot for a restaurant. However, the food was not memorable. The ambiance was earful. I rate it this way because it was very expensive and wasn’t worth the price. I've been a long time customer but haven't eaten there in a while. Glad I went back. The food is still excellent on all levels. It's a bit pricey but a good treat if you're tired of the abundant steak joints in south Florida. Always great, amazing menu, wonderful servers! Highly recommend! Been coming for years and never disappoints! Outstanding! The food is delicious, beautifully presented, and large portions. The service is always excellent. Last but not least, the carrot cake is the best I’ve ever tasted. A must when we are in the area. Fantastic seafood. My wife and I were visiting from central Florida and this was recommended.